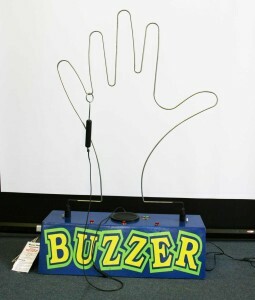 Pass the loop from one end of the wire hand to the other without touching it and setting off the buzzer, to win a prize. Large, hand-shaped, mains powered game. Low table or chairs to stand it on.